Blog Boaters! Saturday, June 9th Vessel Safety Check! Boaters! Saturday, June 9th Vessel Safety Check! 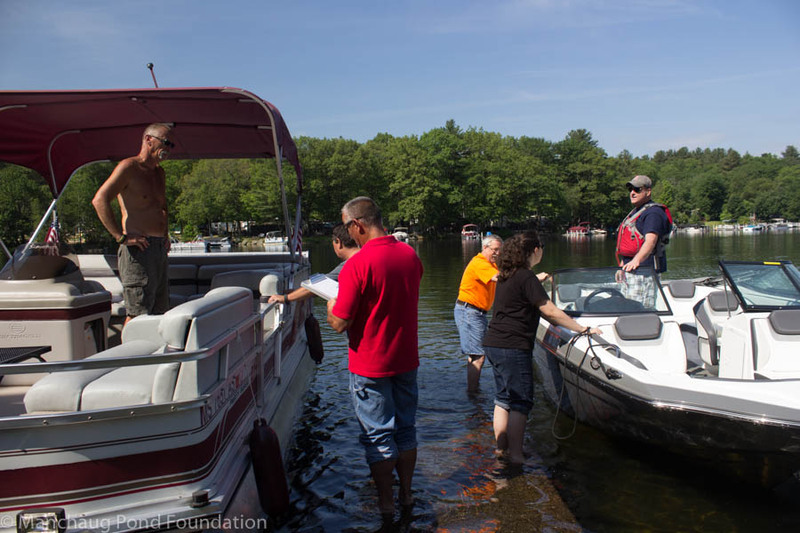 Manchaug Pond Foundation and a Green Bay Sail & Power Squadron volunteer help boaters stay safe. MANCHAUG POND, SUTTON/DOUGLAS: JUNE 9, 2018 – With boating season under way, the Manchaug Pond Foundation is sponsoring a free Vessel Safety Check (VSC) for all interested boaters at the state boat ramp on Manchaug Pond, Saturday, June 9th between 9:00 AM and Noon, Torrey Road in Sutton. This is a no-cost, no-risk, courtesy inspection offered to all interested boaters of all ages. All types of vessels are eligible from paddleboards and pedal boats, to sail, kayaks and canoes, to personal watercraft and power boats. Stop in with your boat(s) either by land or from the lake. Volunteers will be available to hold your boat at the dock during the check. In addition to one-on-one advice, all participating will receive a copy of a written checklist/evaluation sheet with which you can follow up with the suggestions where you see fit. Boats that pass will receive the 2018 decal to proudly display on the hull of their vessel. All welcome! The Manchaug Pond Foundation is a 501(c)(3) non-profit public charity, dedicated to the preservation and correct use of the 380 acre Manchaug Pond and its watershed. In advocacy and education, Manchaug Pond Foundation celebrates over 50 years of action addressing issues from water quality and waterlevel/dam issues, public access and safe boating, invasive species, to wildlife and watershed conservation.